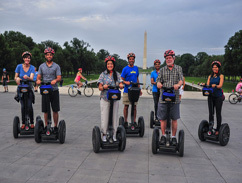 Join us as we pedal toward the setting sun … there’s no better way to spend an evening in Washington! 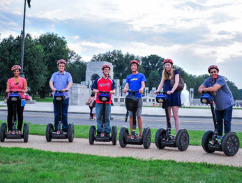 This evening bike tour takes you to the National Mall and Potomac Tidal Basin when the monuments are less crowded, the air is cooler, and the views are magnificent. 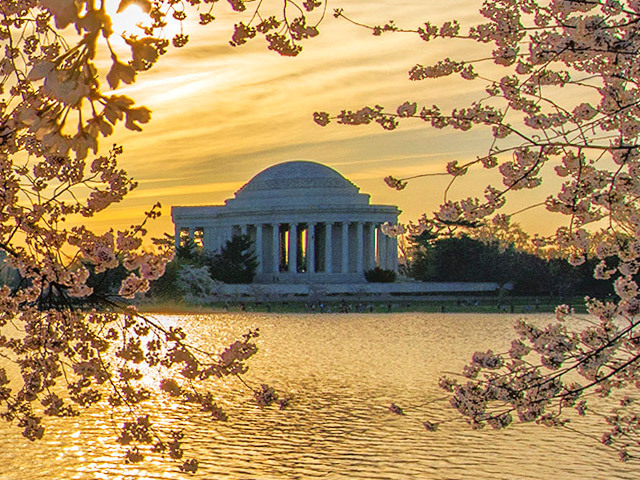 Explore the new WWII memorial, Vietnam War Memorial, Jefferson, Lincoln, FDR memorials, the new Martin Luther King Jr memorial, and more. Riders are equipped with reflective vests and safety lights. Tour is on sidewalks, paths and trails; great tour for families and riders of all ages!